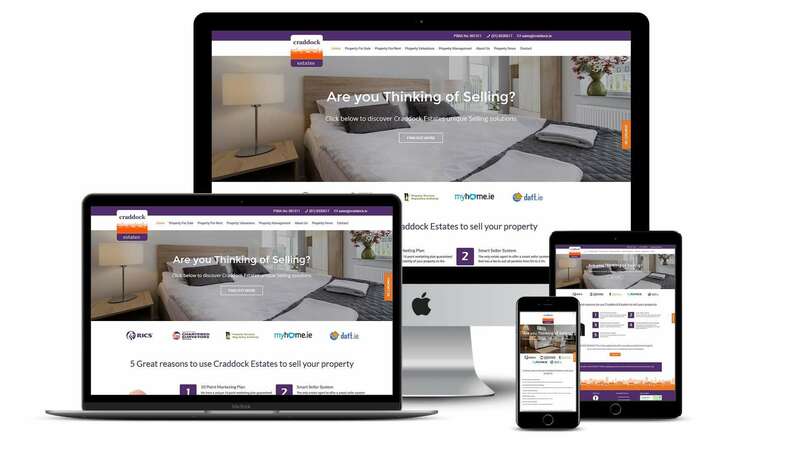 Craddock Estates came to us looking to get a new website for their estate agent business. They already had a property management system and wanted to integrate this with the website to display listings. With each set of listings displayed on the appropriate page depending on if the property was available for sale or rent. Due to the nature of their business and the number of enquiries they received they also wanted their customers to be able to contact them during office hours but outside office hours to have the form swap to a call back request form so they could gather the customer's details and call them the next day during office hours. They also wanted to be able to provide property news on the website and manage and publish these themselves. Having gone through the brief and looked at the client's current property management system we looked into how we would integrate this into the website. Once we had a solution we did some testing before building this into the website. We then setup the floating contact form as a call to action for customers to be able to get in touch with Craddock Estates or request a call back if they visit the website out of hours. Our client can set or edit the hours so that the form displays different information depending on the time of day. The website also displays clear call to actions and positioning calls to show Craddock Estates as experts in their field and set them apart with their own unique 10 point marketing plan to maximise the visibility of their customers property. Craddock Estates received a fully bespoke website with a Content Management System. Built to be fully responsive and also integrate their property management system. This allows them to easily update the listings on their website using their existing system. The call to actions help to convert visitors into leads through promoting their 10 point marketing plan. The dynamic content form lets them gather customer details and then call them back at a suitable time rather than only being available during business hours and losing out on the potential lead.